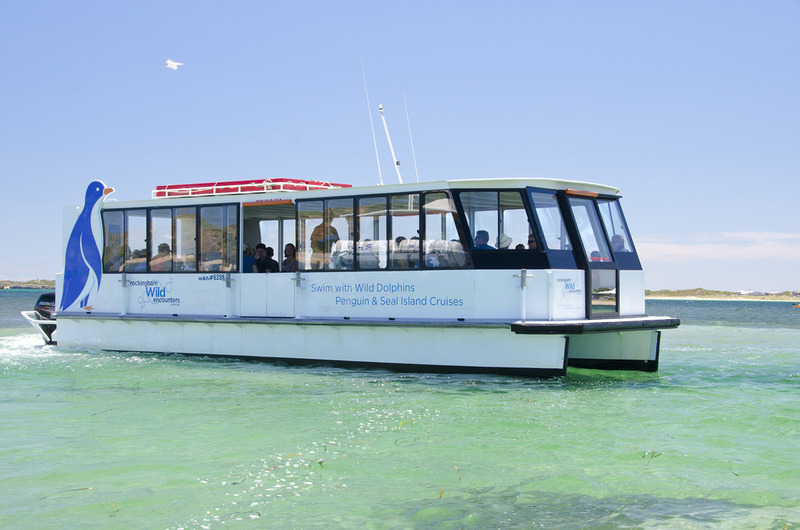 Rockingham Wild Encounters operates four custom built vessels designed to provide customers with the best and safest wildlife experiences possible. All vessels are built and operated to survey under the USL Codes which are regulated in Western Australia by the Department of Transport on behalf of the Australian Maritime Safety Authority. Launched in August 2008 ‘Apollo3’ is the result of 20 years of dolphin swimming experience. It is the sixth vessel that Terry has built for the cruise and he reckons that he has finally got it right! At 15.5 metres in length and 4.8 metres in beam it comfortably accommodates a maximum of 44 passengers and 7 crew and cruises at 18 knots. ‘Apollo3’ features a huge rear swimming platform with ladders running across the full width of the transom making access to the water nice and easy. A rear helm station on the fly bridge provides additional passenger safety. It allows our skippers to manoeuvre the vessel in reverse to stay right next to the action. A continuous stream of salt water heated by the vessels engines keep our intrepid swimmers nice and warm before and after entering the water. There is also plenty of hot fresh water for teas and coffees. The vessel has 2 unisex toilets and plenty of under seat storage for comfortably stowing hand luggage. 100% Wild is a 12.5 metre rigid hull inflatable boat (known amongst boaties as a RHIB). RHIB's are high performance boats used by organizations such as the Navy, SAS, Water Police, Sea Rescue and Surf Life Saving because they are designed for speed, safety, comfort and to go where other boats can't. 100% Wild was designed especially for eco- tourism. It provides a superior experience to a conventional boat because you're closer to the water and there are no barriers separating you from the environment. In other words, it was made for getting you amongst the action, covered open air, theatre style seating puts you right in the adventure- seeing the wildlife close up, feeling every thrill and experiencing some of the best coastal scenery in Western Australia! Launched December 2007 you can’t mistake the ‘Penguin Express’- just look for the two giant penguins on the sides! The vessel represents a major improvement on the old ferry ‘MV Penguin Island’ which when retired in 2006 was believed to be the oldest running ferry in Western Australia. The ‘Penguin Express’ comfortably carries 75 passengers and 2 crew. It features sliding glass windows all round so guests can stay warm and comfortable regardless of the weather. 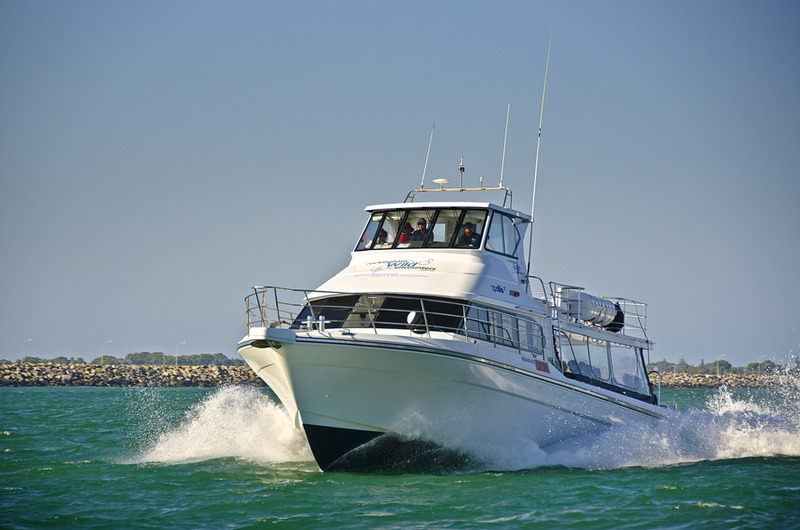 The whisper quiet 4 stroke 90 hp engines get you to the island in approximately 5 minutes, so with departures leaving hourly from 9am- 3pm, getting to Penguin Island is easy and more enjoyable than ever! The Queenbeyan is our 12 metre glass bottom boat that was refurbished and relaunched in September 2006. 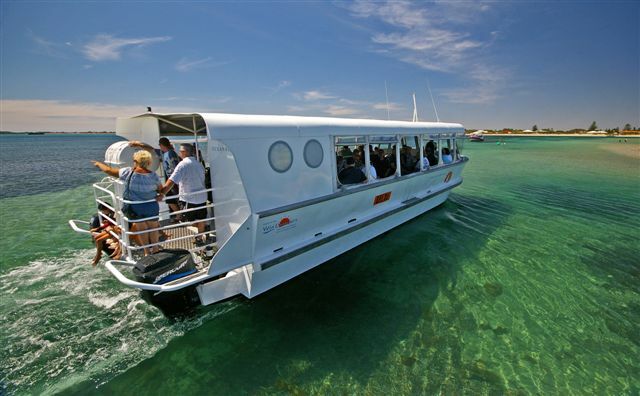 It is the ideal vessel for exploring the ruggedly beautiful environment of the Shoalwater Islands Marine Park. The glass bottom allows guests a ‘fishes view’ of the sea grass meadows and limestone reefs while the vessels shallow draft and 360 degree topside viewing is perfect for getting up close to the islands for a fantastic view of the sea lion colony and pelican rookery. 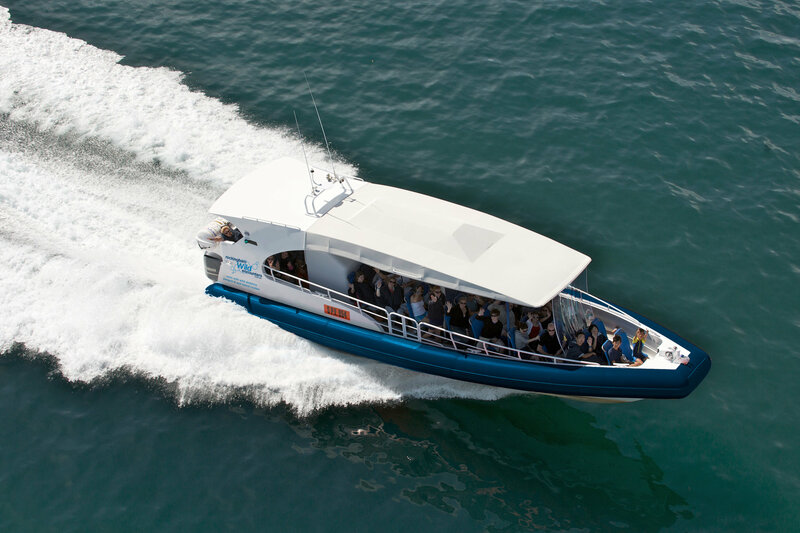 The vessel can seat 49 passengers and 3 crew comfortably and also makes an ideal party boat for special events.